Now and then a show comes along that stands out amongst the masses, a show that is different, a show that touches your heart. A show like that has just found its way into London’s West End. Once tells the story of a man and a woman who remain nameless and are simply known as Guy and Girl. Guy’s girlfriend has moved to New York, his music career is at a standstill. Girl approaches him in a bar after hearing him sing and sensing his crisis. These two individuals who have never met before quickly connect through their passion for music yet they are both fighting their own inner battles which prevent them from being together. Once is an eight time Tony Award winning show which has been playing on Broadway to sell out houses for the past year. 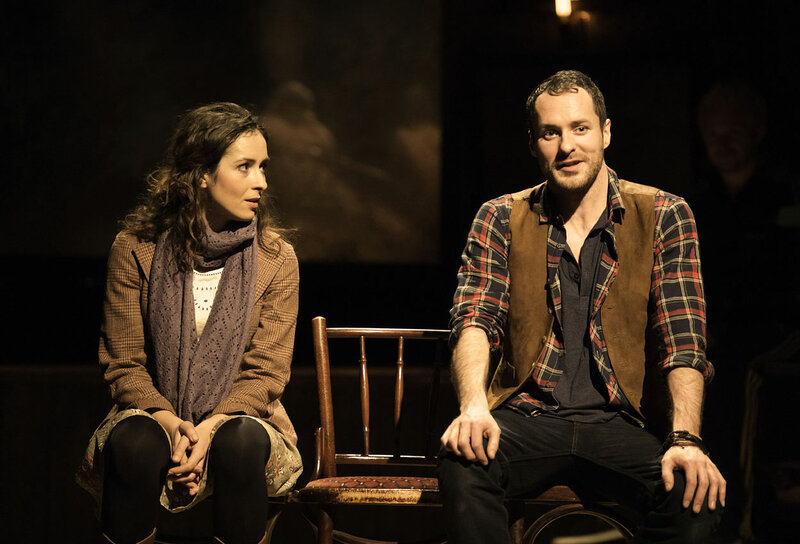 In the West End transfer Declan Bennett takes on the role of the Guy, an Irish busker who works as a vacuum cleaner repairmen in his father’s shop in Dublin. Declan portrays the part with a raw intensity which makes it hard to take your eyes of him whenever he is on stage. Those of you who know the Broadway cast recording (or have been lucky enough to see Once on Broadway) will notice that Declan’s voice has more of a rock tone to it and is slightly more edgy than Steve Kazee’s voice (Guy in the Original Broadway cast). Personally I enjoyed this different approach to the songs enormously. For me Declan’s voice has quite a mesmerising sound to it and I could happily listen to him singing “Falling slowly” on repeat for hours. His Guy is a man on the verge of giving up on his dreams, unsure of what to do with his life. He meets Girl, played by Zrinka Cvitesic, and after leaving his first surprise and bewilderment at this unknown woman’s bold intrusion behind he quickly feels a strong connection to her. Zrinka Cvitesic’s Girl is the perfect portrayal of a woman who is attempting to come to terms with her own life while trying to break down the wall Guy has built around himself. These two individuals connect through the one thing they both love: Music. And whenever Zrinka sits down and plays the piano the audience just listens in awe. Once is one of these rare stories that touch your heart and soul. It is a beautiful piece of theatre that reminds you that music knows no boundaries. Music can bring people together and help them connect on a deeply emotional level. This show left me emotionally drained. It is a gorgeous play with music (I wouldn’t call it a musical in the common sense). There are no huge sets or fancy costumes – this show is all about telling a story through songs and that is what makes it so special. It reminds us how powerful good storytelling combined with beautiful songs performed by an amazingly talented cast can be. The set is an Irish pub that serves as an on stage bar before the start of the performance and in the interval. The cast come on stage to play a few Irish folk tunes while the audience gets to mingle on stage, have a drink and watch. This sets a nice tone for this intimate show. The few set changes are done by rearranging a few chairs or tables – simple but effective. One of the most beautiful scenes is set on top of a hill overlooking the city. This is probably one of the most tender scenes you will ever see on a stage – it’s a gorgeous moment in a heartbreakingly beautiful show. There is now weak link in the supporting cast. The special thing about this show is that the cast acts, sings and plays all instruments – the amount of talent on stage is just amazing. These guys and girls are all stars and one of the reason this show is such a wonderful night out in London’s West End. I know Once is a bit of an outsider at this point arriving in town at the same time as The Book of Mormon and just two months before Charlie and the Chocolate Factory is opening at Theatre Royal Drury Lane. The West End is full of flashy shows that compete for an audience at the moment. 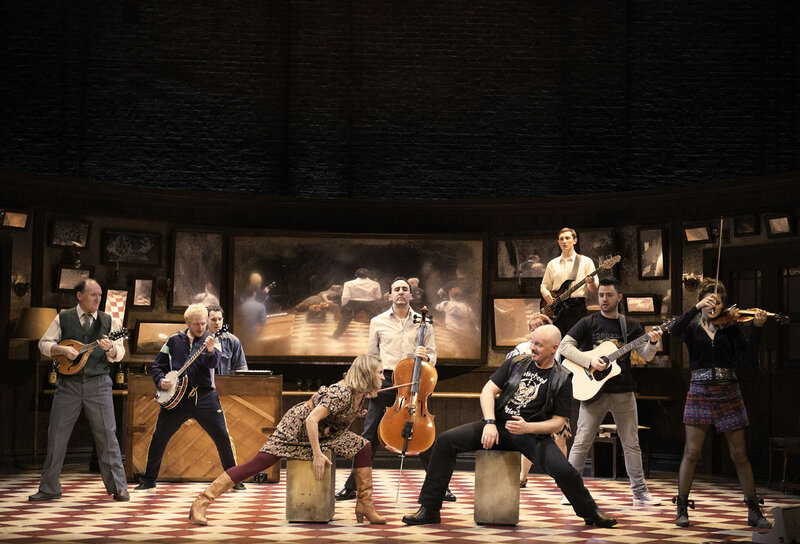 So you might think Once doesn’t have a lot to offer with that one little set, a score with an Irish touch and a few actors on stage who play their own instruments. However, I’m telling you this is exactly why Once should be on top of your list of must see shows. 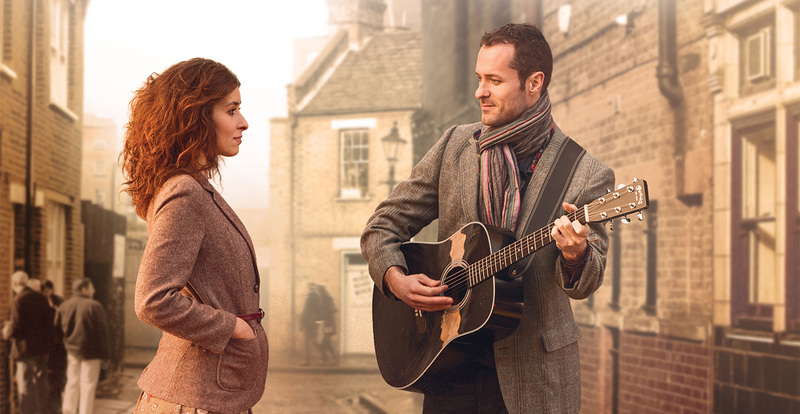 It’s a unique piece of theatre that concentrates on telling a beautiful love story through songs. It’s simple – and simply gorgeous. Once is playing at the Phoenix Theatre. For more info and to book tickets go to http://www.oncemusical.co.uk. habe Once letzten Samstag endlich gesehen und fand es unglaublich berührend!